This story in my local paper today led me to remember that last week I lent one of my favourite books to a friend. 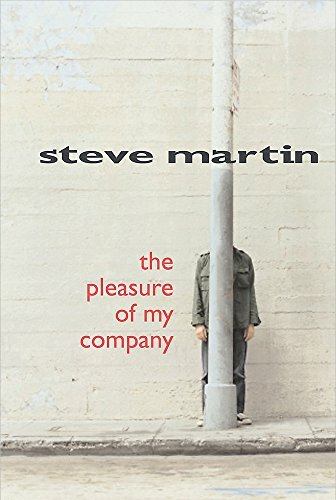 It's by Steve Martin - it seems alot of people still don't know that he writes as well as acts/did stand up. Even though he wrote the screenplays for 3 of the films he starred in and has been writing for the New Yorker for over 10 years. He has written 3 books to date; Pure Drivel, Shopgirl and The Pleasure of My Company. I've only read his last one but can't wait to get my hands on the other 2. If you want to know more from the mouth of this genius read this interview by Meghan Daum, it gives great insight. Admittedly, I'm not a huge fan of his film roles. Some have been great but alot have been rather ordinary. Having said that, I think this man is a real talent.